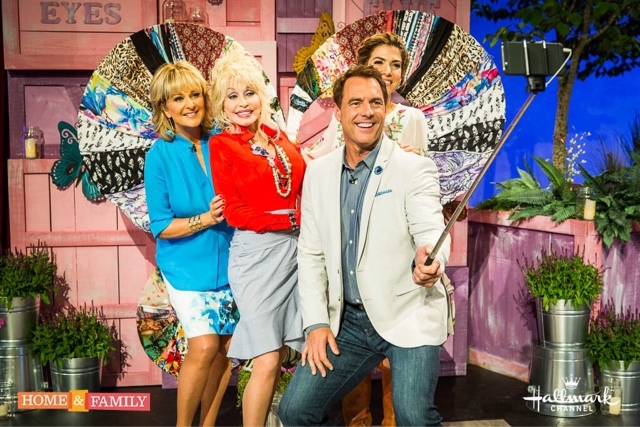 Throughout the week, special guest Dolly Parton hosts Mark Steines and Cristina Ferrare as well as H&F’s family members. The shows will highlight Dollywood’s unique mix of southern charm, thrill rides, amazing shows, down-home cooking and Dolly will sing some of her most memorable songs. Family members that will be joining in this Ultimate Dollywood experience are lifestyle expert Debbie Matenopoulos, beauty expert Kym Douglas, medical expert Matt Iseman, family man Matt Rogers, fashion designer Orly Shani, DIY expert Ken Wingard and design expert Paige Hemmis.